June 2 marked a special anniversary for the U.S. Senate and for C-SPAN. It was 30th anniversary of the first television coverage of the Senate’s floor debate, carried on C-SPAN2. C-SPAN2 was launched to carry the video feed from the Senate chamber, live and gavel-to-gavel. An anniversary page highlights the first televised session and some of the significant issues covered over the past 30 years. 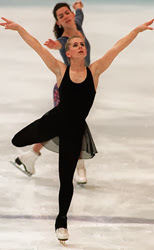 C-SPAN and CSPAN2, created and supported by the cable television industry to provide public access to the political process, are available to substantially all Suddenlink customers who have what is commonly known as Expanded Basic TV service. 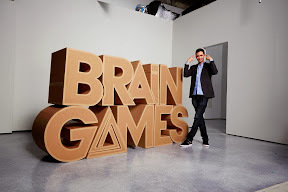 National Geographic’s “Brain Games” returns tonight with two new 30-minute episodes, starting at 8 p.m. CT. Host Jason Silva is back and ready to show us what’s going on inside our heads with more mind-bending interactive experiments. The first episode, “In Living Color,” will put your brain to the test with a series of interactive games and experiments that will reveal a shocking truth—color is just an illusion created by your brain. “Laws of Attraction” follows. In this episode, you can play along with games that reveal how the brain quickly calculates what’s attractive (or not), learn the secrets of long-term relationships, and find out what it is that attracts two people together beyond conscious control. The show’s website offers fun pre-show quizzes for “In Living Color,” “Laws of Attraction,” and other upcoming episodes. National Geographic is available to most Suddenlink customers who have what is commonly known as Expanded Basic TV service. 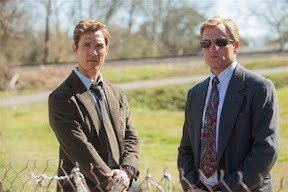 Longtime friends Woody Harrelson and Matthew McConaughey play a pair of mismatched Louisiana gumshoes in HBO’s new series “True Detective,” which premieres Sunday at 8 p.m. CT. According to USA Today, the series storyline will wrap up at the end of an eight-episode run. Should additional seasons be ordered, they would include new stories, characters, and casts. Two cable networks are sponsoring contests that reward winners with chances to win fantasy experiences custom-designed for loyal viewers of popular reality series. Fans of National Geographic’s “Ultimate Survival Alaska” (Sundays, 8 p.m. CT) may enter the Ultimate Survival Alaska Sweepstakes for a chance at a trip for two to the last frontier, joining cast member Dallas Seavey on an adventure that will include dog mushing, viewing of the Aurora, and more. 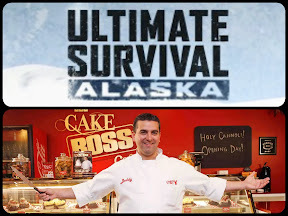 Over on TLC, another trip for two is up for grabs for “Cake Boss” and “Bakery Boss” watchers (Mondays, 8 and 9 p.m. CT). The winner of the Cake Boss Kickoff Sweeps will fly with a guest to New York and bake alongside Buddy Valastro at a “Taste of NFL” event held during Super Bowl XLVIII. Winners of both sweepstakes will be taped during their adventures for possible inclusion on future episodes. National Geographic and TLC are available to most Suddenlink customers who have what is commonly known as Expanded Basic TV service. There’s plenty of fresh fare tonight for television fans. Two major networks debut original series and cable nets offer a generous helping of season premieres. CBS introduces “Intelligence” at 8 p.m. (CT). 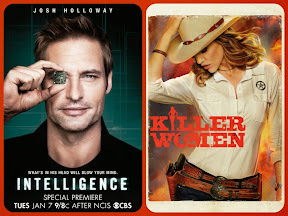 The dramatic thriller stars Josh Holloway (“Lost”) as an intelligence operative with a super-computer microchip in his brain. The chip gives him instant access to Internet, WiFi, telephone and satellite data. At 9 p.m., ABC premieres “Killer Women,” starring Tricia Helfer (“Battlestar Galactica”) as a lone female Texas Ranger tasked with bringing in, as the title implies, women accused of homicide. 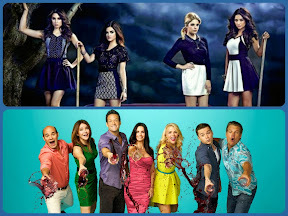 For viewers who would rather find out what’s in store for characters they already know and love, new seasons of “Pretty Little Liars” and “Ravenswood” premiere on ABC Family, 7 and 8 p.m. At 9, “Cougar Town” (TBS) and “Justified” (FX) return.